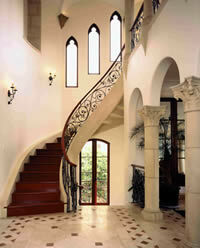 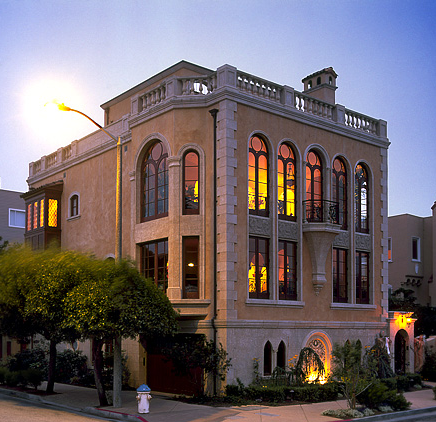 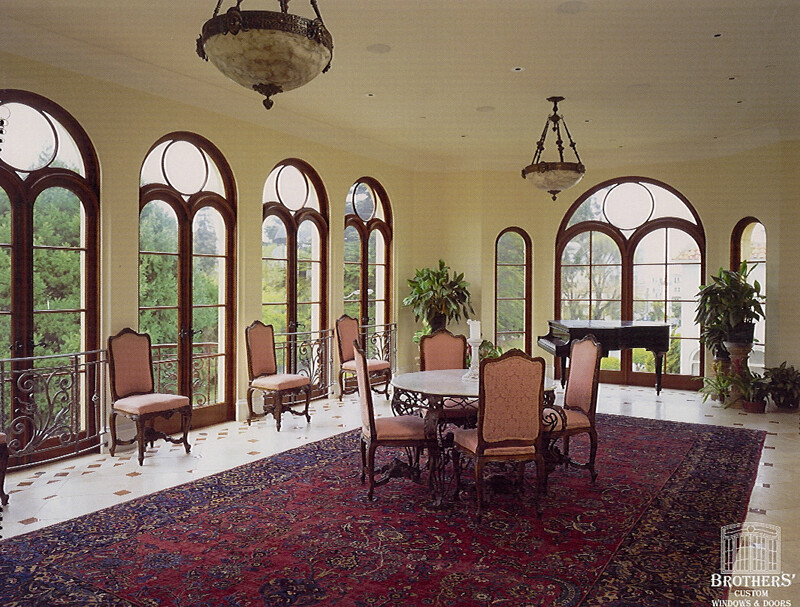 The inspirations for the design of this home were the palazzos which line Venice’s Grand Canal. 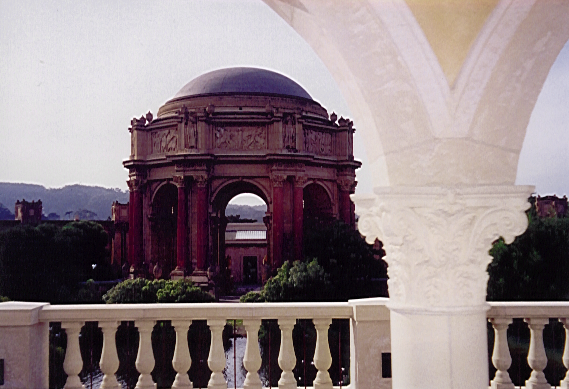 Appropriate, as the lagoon of the Palace of Fine Arts is right across the street. 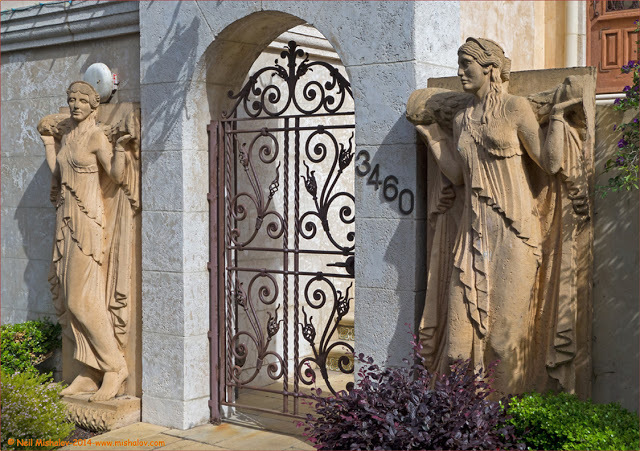 Beausoleil was responsible for the facade design and detailing in association with Jana King of Maidenstone. 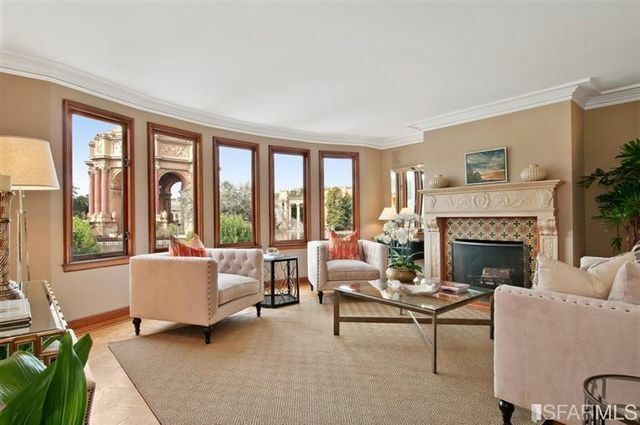 You too can play the Doge in this palace: the home is now rented out as a party venue, so the ballroom on the upper floor can be used for its intended purpose.